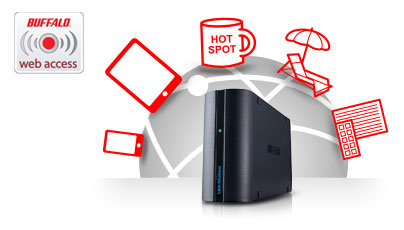 The first Network Attached Storage product in the world using 2.5” hard disks! 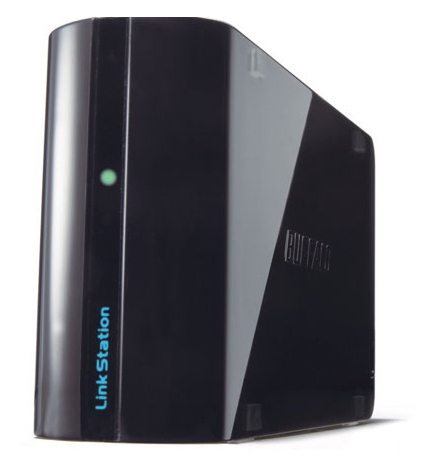 The Auto Power on/ off function enables the LinkStation™ to turn off automatically when you shut down the last PC or laptop with installed NAS Navigator software. 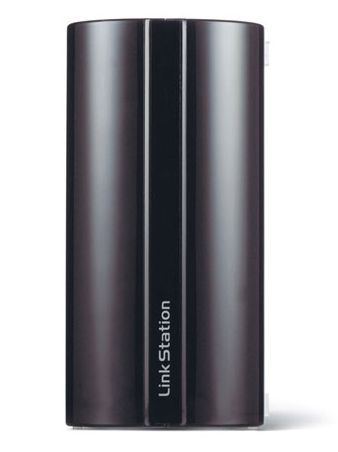 So small and compact that it fits perfectly in the palm of your hand, with features such as 60% lower power consumption, fanless operation and low noise make the LinkStation™ Mini the ideal storage solution for anywhere in your home. - Access your files anytime via a Web browser from anywhere! 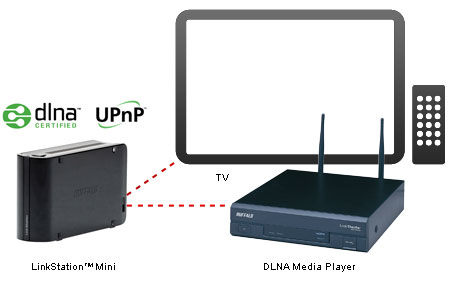 - Make streaming audio and visual content to any DLNA player or PC easy with a in-built DLNA CERTIFIED media server. - Seamlessly integrates with iTunes and allows you to access your music files on the LinkStation from your iTunes software. - Power Saving - Power turns on and off automatically with your computer. - High-speed processor provides FASTER file transfer rates of up to 40MB/s with enhanced performance. - Control access with group and user level security. - Apache web server, full featured enhancement modules included. - PHP5 Scripting language, fully supported by the web server. - MySQL database with phpmyadmin interface. - Direct copy of multimedia files from attached USB devices. 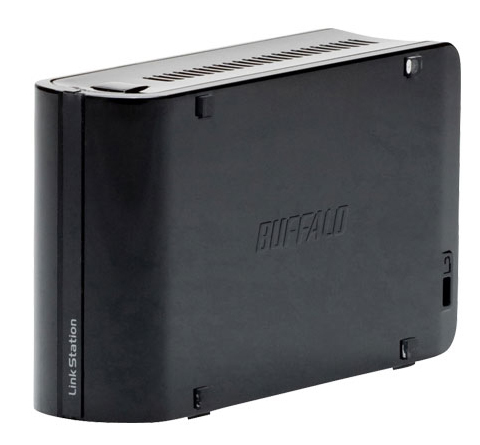 - Supports UPS connectivity via USB port. - Supports RAID 0/1 and Standard. - Expand Storage by adding a USB 2.0 hard drive. - Easy Set-up - does not require drivers. - Auto-Sensing 10/100/1000Mbps Ethernet port. - Silent, with no internal fan. - In-built DLNA CERTIFIED™ Server. - WebAccess – allows you to store, share and access files from any web browser via PC, Mac or iPhone. - Black and White chassis available.